“Auntie” Anne Beiler is best known as the founder of Auntie Anne’s Hand Rolled Soft Pretzels – the world’s largest hand rolled soft pretzel franchise. However, her journey to become a leading female entrepreneur began years before the first pretzel was rolled. In September of 1975, Anne and her husband experienced a parent’s worst nightmare – the loss of a child. This event propelled Anne into years of darkness during which she nearly lost her husband, her family, and her faith. Out of her pain came purpose and the desire to persevere towards success personally and professionally. Today, Anne finds her purpose as a public speaker, inspiring business communities and encouraging women across the globe. It’s never too late to turn your life around. 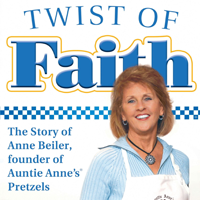 This week on BetterWorldians Radio, we’re speaking with Anne Beiler, the founder of Auntie Anne’s Pretzels about her personal journey of faith and forgiveness. 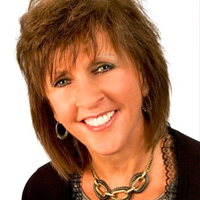 Beiler will discuss her book, Twist of Faith, which documents her inspiring life story. Beiler will tell listeners how she overcame the odds to live a life of honesty, openness, and giving back and in the process launched a massively successful brand. Tune in every week to hear new guests share how they are making the world a better place and to learn how you can become a BetterWorldian!